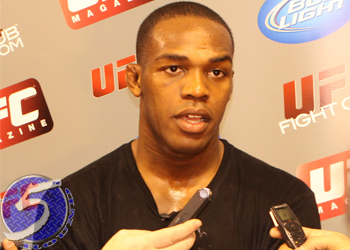 In anticipation of “UFC 128: Shogun vs. Jones” on March 19th, the Ultimate Fighting Championship will host a pre-fight press conference featuring light heavyweight champion Mauricio “Shogun” Rua and Jon Jones NEXT Wednesday in New York City. If you happen to be wondering aimlessly around the NYC streets on March 16th at 12:30PM local time, the presser inside the world-famous Radio City Music Hall will be free and open to the public. Joining the card’s featured athletes at the podium will be UFC president Dana White, co-main event fighters Urijah Faber and Eddie Wineland, as well as middleweights Yoshihiro Akiyama and Nate Marquardt.